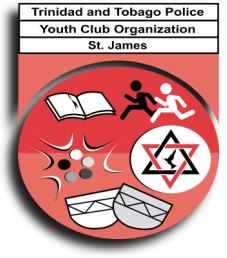 The St. James Police Youth Club is a registered non-profit organization, which caters to the needs of young people between the ages of 5 to 21 years. It was established in November 1992. It is one of the most viberant and well established Police Youth Club's now functioning in Trinidad and Tobago. We have a registered membership of one hundred and ninety six (196) members. Our main focus is to expose young people to productive activities in Education, Sports, Culture, Spirituality and Community Service, as an alternative to a life of Drugs, Crime and Juvenile Delinquency. In January of 1997, our Youth Club merged with Project Excel. The intention of this partnership is to promote a drug free life style among our youth. Project Excel seeks to promote knowledge about the ill effects of drug abuse and at the time encourage healthy drug free life styles in communities affected by the scourge of drug abuse. In order to encourage parents to fully participate within the club as part of our holistic approach to youth development, we have established a Parent Association, Men's Group, Management Board, Youth Executive Body and Alumni Committee so as to ensure greater participation at all levels. In August of 1998 Properties Management Unit allocated a Government Quarters at #5 Sierra Leone Road, Petit Valley (which was refurbished by the United States Embassy), that currently serves as a Training Centre to host our on going Drug Free Program for parents, children and the community in general and the first ever Suspension Centre in the Western Division for students who have been given notice by the school so as to occupy their time constructively, during that time until termination. In addition, the club has established a male & female support group which is held at our centre every Fridat at 6:30 pm- 8:30 pm that addresses social problems, listening skills, anti social and offers alternatives to poor choices and greater support. 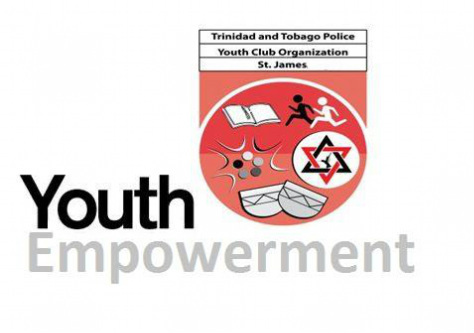 The St. James Police Youth Club/ Project Excel celebrates twenty five years of Community and Youth Development Work in November 2017 and has an outstanding track record in community projects and prides itself as the first Police Youth Club in Trinidad with its own Police Youth Club - Youth Empowerment Centre (A Friendly Space). At Present the St. James Police Youth Club Elite Drummers and Ignited Dancers are the reigning Drums of Thunder 2013 AND 2014 Champions Winners.